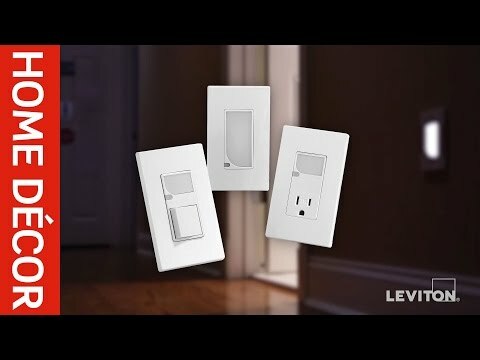 Leviton Decora® Commercial grade dual rocker combination switch in white color, is rated at 120-Volts and 15-Amps. 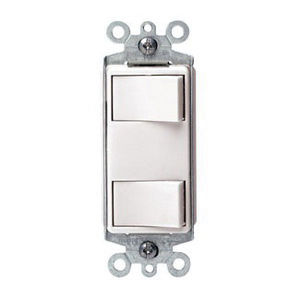 This rocker actuator switch is thermoplastic built and supports wall mounting. The steel strap switch has quickwire push-in wiring and ground lead screw terminal connection. It withstands a temperature rating of -40 to 120 deg C. Switch is UL listed and CSA certified.